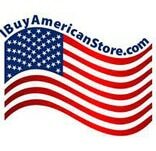 We are a Made in USA furniture and accessories store selling only American made products. Many of the products are made in North Carolina by us. 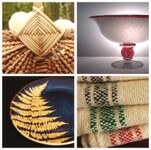 And some are made by artists and manufacturers around the country. We manufacture the Beaufort brand of products including a variety of wood decor and furniture. Great American Days is America’s leading provider of exciting and inspirational experience gifts for every budget, taste and occasion, making America’s dreams come true since 2004. From balloon rides to spa days, gourmet tours to nascar stock car racing, we make America’s dreams come true. We take America’s most amazing experiences and turn them into incredibly great gifts. Connecting consumers to American-made products. The website allows you to select a department where you’ll find various company descriptions and links to their website, where you can purchase your American-made product directly from the manufacturer. 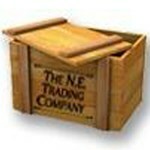 The New England Trading Company offers unique handcrafted gifts that are Made in the USA. We work with artisans to bring you a selection of unique, handcrafted gifts. From salvaged sail tote bags, recycled lobster rope doormats, bowls made from reclaimed cherry, gourmet foods, to cutting boards, and more. field day is a small indie clothing label born out of Oakland California. Our mission is to create an ecologically friendly, handmade, unique and beautiful world. Striving to minimize textile waste by offering wearables made from sustainable materials. Completely conscious clothing with a emphasis on longevity, durability, style, design and flattery. We are an innovative online retailer specializing in affordable women’s fashion from American designers and manufacturers. Our products are for a woman who is stylish, yet socially conscious of ecological impact and local industry sustainability. We offer a selection of high quality sustainable andeco-friendly products for the home made in the USA by New England artisans andc rafts-people, using sustainable, eco-friendly practices, and raw materials from within our region or sourced from within the United States. 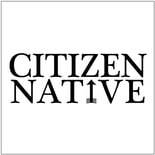 Citizen Native brings purpose back to purchasing. We curate quality goods with a passion to bring the best American made, sustainable and philanthropic options while featuring designer’s stories and inspiration. 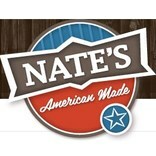 Nate’s American Made Store was created as a single source where you can find American made products. We carry only products that are made here in the U.S.A. Our goods are made by your neighbors and friends in communities just like yours. 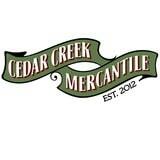 We offer a selection of lighting, kitchen & home goods. 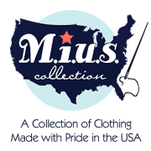 Products on our site are either American Made, or from recycled or sustainable materials. The recycled or sustainable products are usually handcrafted or designed in the USA. If you make or sell online store, brick & mortar store, a retailer, a directory of American made products, etc… and would like us to feature your business on this page, fill out our application and a MAM rep will respond within 48hrs.